Rana Magdy. All rights reserved.Six years have passed since that fateful day on January 25, a day that changed Egypt. Two years ago, as Egypt started palpably plummeting into a terrible state, people started asking: “Was it worth it?” The question lingers with no definitive answer till this day. How did we arrive at this state? After having witnessed the events leading up to this point in time, I can no longer offer a political analysis of the situation without factoring in psychological changes that affected the various sections of Egyptian society. The most significant changes that took place over the past few years were within people’s minds, more so than in policy, both political and economic. People’s beliefs and emotions form their motivations which shape today’s political arena. People’s drives are a result of their mental and emotional changes. Resistance to the status quo comes from within the mind, as does acceptance. This is the battle we see before us today, a battle of minds and will. Six years ago, when people took to the streets to protest, they were not fully aware of how deep the rabbit hole went. They were not aware of the depths of corruption and the lengths those in power would go to in order to safeguard their interests. People viewed Egypt’s institutions as capable of change and underestimated the formidable bonds of corrupt interests that were more powerful than a revolution. When people began protesting on January 25, they were motivated by a handful of incidents that proved to be the tip of the iceberg of endemic corruption. A few examples of the major events that led to the January 25 and January 28 protests were: the cold blooded murder of Khaled Said by the police and attempts by forensics, prosecution and an array of other Egyptian institutions to cover it up; and the unabashed wide scale election fraud in 2010 by the ruling National Democratic Party (NDP). Numerous other factors also contributed to people’s general sense of dissatisfaction, some of which were: government incompetence and corruption, the cut back on welfare, Mubarak’s succession plan to hand over power to his son Gamal Mubarak, extortion of the middle class by security agencies and mass income inequality. 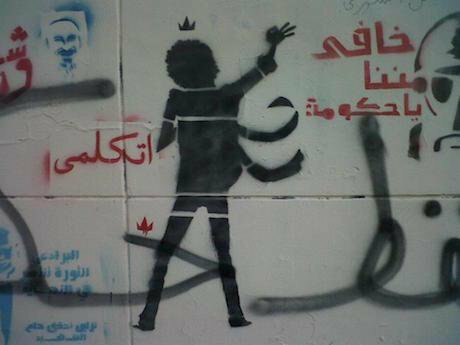 What initially started out as calls to end corruption and police brutality rapidly turned into chants for the removal of Mubarak. These reasons for disgruntlement built up over time and became unbearable in 2010, and when Tunisia managed to remove Ben Ali, the people became motivated to join the planned protests to decry police brutality on January 25. This date was symbolically chosen because it was ‘Police Day’ – a national holiday. What initially started out as calls to end corruption and police brutality rapidly turned into chants for the removal of Mubarak. It’s true that from day one people chanted, “The people want to bring down the regime”, but it was transformed into real resolve only after having been provoked by the police’s brutal response to protests. Perhaps people’s ignorance of the measures the regime would take to maintain its interests is why the people continued to escalate and didn’t back down, hoping that change would take place once and for all. After all, it seemed ridiculous at the time that the regime’s response to calls of ending police violence and brutality was more violence and brutality. Rana Magdy. All rights reserved.The role of journalism slightly changes under oppressive regimes. These regimes are not merely built on brutality and repression, but on lies to justify the necessity of the crimes committed against the people. Real journalism is about conveying the factual story within a context of some moral guidelines. In other words, at the risk of oversimplifying, real journalism is about spreading the truth. But truth that counters an oppressive regime’s lies becomes an instant enemy and so do its bearers. In this manner, I consider myself part of the movement to overhaul Egypt’s corrupt political system by exposing crimes and lies spread by the regime. Anyone who has simply reported on facts and is not afraid to challenge the official narrative is part of that movement. It is also in this vein that I consider any journalist who has truthfully reported events that took place within the context of Egypt’s revolution part of that movement. Because even if they claim neutrality, a truthful account would naturally be biased against the oppressor. The movement that came to life as a product of January 25, in its purest form, became a fight for truth, rights and justice. Those referred to as ‘revolutionaries’ are just ordinary people who managed to believe in this fight in some way or another. It is this adamant rejection of the reality of the regime’s ugly crimes that is most conducive to despair. In a sense, the greatest triumph of January 25 was to lay bare the truth about Egypt’s rulers and institutions, and to galvanize blocks of citizens into resiliently exposing that truth. Yet the greatest disappointment remains that facts are not enough to set things right. This is possibly a global trend with the rise of racism and intolerance. Now, it’s back to a battle that is shaped by people’s emotions and mental state rather than by the facts at hand. In Egypt, denial runs deep and people would sooner turn their backs on incontrovertible facts than change their minds. It is this adamant rejection of the reality of the regime’s ugly crimes that is most conducive to despair. To see a nation full of brainwashed individuals who can no longer engage logically in an argument or acknowledge facts presented to them paints the bleakest of all pictures. Growing up I never imagined dictatorships and authoritarian regimes in color. I imagined them in morbid colors, sometimes in black and white but mostly in sepia, a desert shade where air was polluted distorting nature’s colors. Yet here I am living through the darkest page in Egypt’s modern history and I can still see my world in color. It’s only when I remember everything that we have been through that the memories all turn really dark once again, with a heavy burden of sadness and helplessness taking over my senses. It is difficult to meaningfully list all the events that took place over the past six years that led us here, but there are a few key aspects of the struggle that have remained a constant thread. There was never any democratic transition at any point, even with the relatively fraud free elections that brought Mohamed Morsi in as president. Morsi was negotiated into presidency and the results were announced later than scheduled on account of that. There were no attempts for the creation of independent state institutions to instill checks and balances – neither by SCAF, Morsi, Adly Mansour, or Sisi. What did exist, at intermittent times, is true power for the people on the ground pushing for change, but this was never translated into power within national institutions. Egypt has been kept on a tight leash with the army’s grip on power ensuring the protection of its military economic empire as its primary mandate. 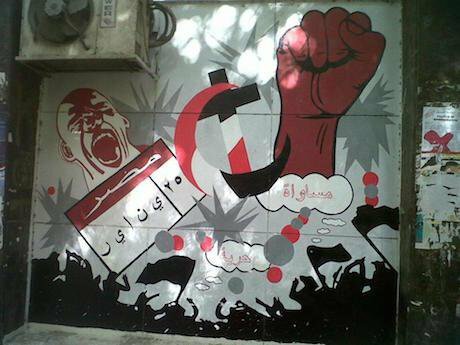 The goal of the Egyptian security apparatus has been to quell the protests against rulers. With the failure of the democratic movement to create a sustainable framework, Egypt’s blueprint for moving forward became entirely security based. That roadmap was accompanied by a revenge agenda, mainly targeting the people, for daring to question their leaders. Young people taking to the streets, revolutionaries continuing to push for change and the Muslim Brotherhood who dared envision themselves in power have been the prime targets. A snapshot of today’s Egypt is unpleasant. The leadership is reckless with its resources, benefiting the corrupt at the expense of people. An Italian researcher Giulio Regeni murdered by Egyptian security forces. Egypt’s legendary football star Mohamed Abutrika along with over 1500 others arbitrarily placed on a terror list. Political prisoners are in the thousands. The police are killing with impunity and abusing their positions. The judiciary and public prosecution have no structural independence, often politicized or coerced. The military is expanding its economic empire, rigging the economy for its benefit. Minorities such as Copts, Nubians, Shiite Muslims, north Sinai Bedouins are still discriminated against with no signs of a move towards equal rights. Loan agreements are being made without any consideration of the effect they will have on future generations. Prices have doubled and the pound’s purchasing power has greatly diminished. The media is being strictly controlled and all critical voices are being silenced. The opposition is being targeted by all means available: prison, military trials, asset freezing, forced disappearances, assault on privacy by leaking private phone conversations, physical assault, threats, etc… pretty much the full range of the arsenal available to despotic regimes. In many discussions about the Egyptian revolution, the narrative revolves around existing structures of power that participated, such as the military, the NDP and the Muslim Brotherhood. These structures certainly had a role to play and their motivations affected the outcome, but it was not only these organized structures that created the present context. Rana Magdy. All rights reserved.I would argue that it was more the unorganized and their individual, yet collective, actions and decisions. Take for example Mohamed Mostafa “Karkea”, the Ultras fan and tennis champion who left his home to join protesters when they were being shot at by the army in December 2011. He was in turn killed by the army. Or Mina Danial who believed in a secular state yet joined the march to Maspero in October 2011, because he believed that all citizens must leave their closed communities and demand equality for all as citizens of this country. Mina was killed in what became infamously known as the Maspero massacre. Maybe all these attempts failed to bring about the demands of their bearers, however, those and countless others helped shape what the revolution is: a battle of minds. The activists who foresaw a military overtake and marched to Al Kobba Palace on July 2, 2013 denouncing both Morsi’s undemocratic trajectory and the foreseeable military rule. Many were detained and put on military trial. Or the activists who decried military trials for civilians while the constitution was being written, and were in turn punished by being thrown in jail. Similarly, those who fell prey to the regime’s counter narrative helped shape the counter revolution. You hear them say the same things, parroted over and over, to justify crimes. They recycle phrases such as, “at least we’re better than Syria and Iraq”, “Egypt is fighting a war on terror”, “Sisi saved Egypt” and countless other statements that cannot withstand the test of facts and logic. The middle class, divided between calls for justice and their fear of losing what they already have, has certainly shaped this arena. The poor are caught between those promising religious piety and those promising protection under a banner of nationalism. Of course, neither of these promises are fulfilled, but their faith in what could come next helped shape the context in which we’re now living. When people rose up six years ago, they only saw dreams of a better country. Now fear and violence cloud their vision. The middle class that rose up against the murder of Khaled Said delivered a clear message, that they too could be killed at any point like Khaled Said. Their murderers would be protected by state institutions much like the murderers of Khaled Said. In short, the response to the middle class was: “Indeed, you are all Khaled Said”, and remains so. Egypt is now a land of fear and oppression but a few brave souls remain behind bars as others fight for truth and justice. 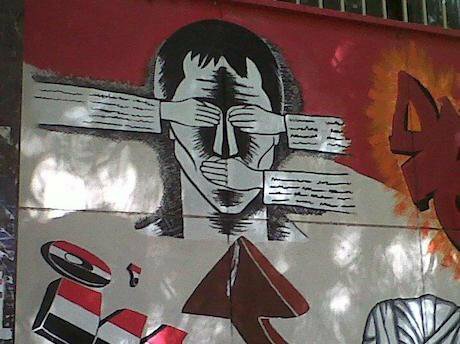 Egypt is now a land of fear and oppression but a few brave souls remain behind bars as others fight for truth and justice. However, the battle now is also against people’s fear and denial. Six years ago, there was no collective consciousness that there were others who saw the same reality of corruption, greed and oppression. Six years on, there is an ambiguously shaped entity referred to as ‘the revolution’ whose members are possibly in hundreds of thousands, yet unable to bring about many of its dreams. Six years on, ‘the revolution’ brought on an awareness and a will to fight oppressive structures that opened up the gates of hell. The power of the revolution was not in the political changes it brought about but on the influence it exerted on each individual en masse. In a sense, it was a collective journey experienced personally by each individual. The true cost of that journey of awakening and awareness was to antagonize the oppressive powers into resisting a vision of a country without their oppression. The result is what we see today, an era of political, cultural and economic decadence and a body of resistance that remains scattered, crushed, targeted and defamed yet resilient and adamant. Was it worth it? Perhaps that remains debatable, depending on each individual’s personal journey and perspective.